ARE YOU AND YOUR FAMILY SHOPAHOLICS? HAVE YOU MAXXED OUT YOUR CREDIT CARD? 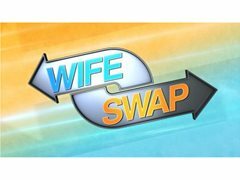 Wife Swap is the TV series where 2 Mums swap lives for 10 days to see how another family lives and we are looking for a family who struggles with spending too much money. Is this you and your family maxing out credit cards for things you really can’t afford? What could you learn from another family who is better at budgeting? And what potentially could you teach them?